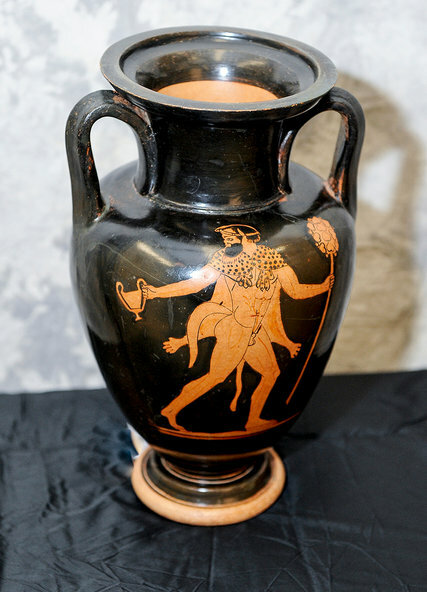 As recently reported, an Etruscan vessel dating from 470 BC was seized at Royal Athena Galleries, New York. The vessel, which was valued at $ 250,000, was seized by the Manhattan district attorney’s office, and will be now returned to Italy. It was already formally returned to the Italian consul general in New York, Francesco Genuardi. From there it will be brought to the Polo Museale del Lazio in Italy. Read more here. New York: Phoenix Ancient Art selling looted artifacts?